Starting a blog from scratch is really a daunting and tiresome task. First, you have to choose which platform from a bunch of options—Joomla, Blogger, WordPress, Drupal to name a few. Then you have to choose whether you would like to go for self-hosted or custom-hosted by their own servers. If self-hosted, there’s an array of options to choose from, which at all times make me go confused. In my opinion, a self-hosted WordPress website is the best and the most secure bet. You have got lots of themes and plugins to choose from and customize it to your needs. But most of the time, when we select a host for our website, it’s a shared hosting one—which is quite cheap and affordable compared to another type of hosting. But, if you are serious about blogging, you will find it sooner or later that choosing shared hosting is just a waste of time. In Shared Hosting, you are given off a small part of a large server that is also being used by other folks around the world. Sometimes, this value runs into tens of hundreds of folks depending upon one shared server. And the negative part is that the large websites with a heavy flow of traffic consume most of the resources, and you eventually end up with nothing. Here’s when VPS comes to play. It is a private server that gives an even more powerful performance and is dedicated for your website only (i.e. reserved for only your website). You get all the resources for which you pay for. And if there’s a big website operating on other VPS, it won’t affect your website at all. Everything runs parallel to each other. But there’s a myth that VPS plans costs a lot, which is not true actually. There are several great companies that provide incredible performance and services at a low price. It is one of the most reputed, widely known and first choice of the bloggers when going for VPS hosting. Why? It’s a really cool service that offers fast, robust and smooth performance. It’s so easy to use, it’s like it is designed for all those users who are trying to use VPS for the first time. They have got various plans starting from as low as $0.007 per hour to $0.119 per hour with each plan having got its own set of features to get you through your needs. One of another great thing I found about Digital Ocean is that they charge you on the basis of minutes the server is active/used. It helps to save a good amount of money. All the servers are fast, located in multiple locations around the world like New York, Sam Francisco, Singapore and Amsterdam. All the servers have got SSDs inbuilt and run on Linux, which gives a reliable performance. Unlike DigitialOcean, Linode doesn’t provide you any ease of use as it lacks a control panel. Before using it, you must have a good knowledge in Shell Command and know in brief about Apache and MySQL databases. So it’s just not for the non-coders. It has got a wide variety of plans to choose from (8 to be exact) to cater to the needs of various consumers. Plans start from $20 per month which provides 48 GB Memory, 2 TB transfer and 1 GB RAM to $320 per month which has got even more powerful features. It has also got a 7-day money back guarantee, in case you don’t like the service. They have got several servers dotted on the map of US from Texas to Dallas to California. This helps in achieving 99.99% uptime, which it really does. In case of any problem, they have got their own forum where you can get all of your queries cleared. They even have got their very own Wiki page to resolve your queries. Other than that, you can have an IRC chat with them or have a support ticket. Unlike the other services, CloudWays is based on the lines of cloud storage. It combined both the power of VPS and dedicated hosting to provide a better performance. It is like a virtual server supported by powerful servers. The data present in your server gets replicated and sent to all the other servers. So if, in case, one of the servers get down, you can always access it through other servers. And for that they have got their switching algorithm that automatically switches from one server to other. This is the best part of CloudWays; it rarely goes down. It comes with a range of useful and awesome tools such as backup and security facility, sever monitoring to start off with. Other than that, you can even add add-ones with it. They offer a 14-day long trial period which based on two of their digital ocean droplets and 3-day trial on AWS servers to get started with CloudWays. Plans start initially from $15 per month which and increases as many resources you end up buying/using. 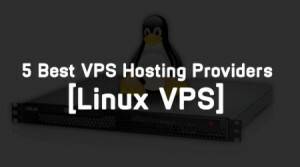 The VPS service provided by ASmallOrange is one of the best-in-market and has got very fewer haters of it. They have got eight types of plans to suit your needs. Along with them, you can even configure and add extra features to it to make it work the way you want. It gives a reliable performance thanks to its SSDs, and high-quality servers powered by Hexa-cored Intel Xeon processors clocked at 2.5 GHz. They will happily help you migrate to ASO, and they won’t charge you a penny for that. They have got a quality support team that is extremely responsive and were at tour service at all times. Vultr is one of the recently well-established VPS hosting providers. Though it is new in the market, it has got excellent power-packed features. Vultr offers plans just as that of Digital Ocean with plans starting from $0.007 per hour which gives you 3 GHz processors and 768 MB of RAM. They have got several other plans with more advanced features coming with it. Just like Digital Ocean, Vultr charges you on an hourly basis and has got servers in various parts of the world from Frankfurt in Germany to Tokyo in Japan. It has got its servers on all the three continents—Europe, North America and Asia. It gives a awesome speed and a good uptime thanks to its presence of servers over various continents. They have also got a very helpful and responsive support team to help you out.